The resulting patches are allocated in a dedicated array. (image_height, image_width, n_channels) The original image data. 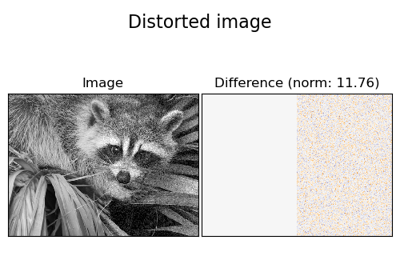 For color images, the last dimension specifies the channel: a RGB image would have n_channels=3. The maximum number of patches to extract. If max_patches is a float between 0 and 1, it is taken to be a proportion of the total number of patches. Pseudo number generator state used for random sampling to use if max_patches is not None. If int, random_state is the seed used by the random number generator; If RandomState instance, random_state is the random number generator; If None, the random number generator is the RandomState instance used by np.random. 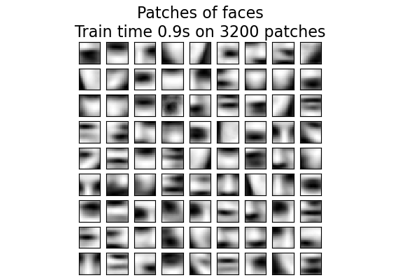 (n_patches, patch_height, patch_width, n_channels) The collection of patches extracted from the image, where n_patches is either max_patches or the total number of patches that can be extracted.